Computer Support – Your Way! Z Logic is a computer support and IT services company located in Astoria, Queens NY. Established in 1997, we serve small businesses, medical practices and home customers in the five boroughs of New York City and surrounding areas. 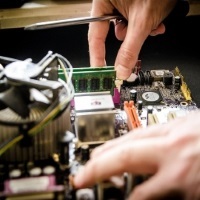 Contact us anytime to discuss your computer support needs, request a quote or schedule a visit. We welcome every call, email and text because you are not a distraction to our day, you are the reason for it. Call 718-777-5712 or visit our contact page for additional ways to connect. Many of our small business customers are comfortable with technology and have only light needs so they use us for computer support on an “as needed” basis. 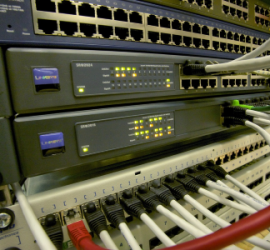 Others contract with us to handle network administration for their office or medical practice. Still others use us for discreet needs such as website design or network security.We use our extensive experience to provide the guidance and support you need to meet and exceed your goals and wishes, and we never forget that our success is directly related to yours. Home customers are an important part of our business. We frequently provide in-home installations, computer repair, troubleshooting and computer virus removal for our home customers. There are many businesses that can do a competent computer repair, but Z Logic does things a little differently. Our mission is to provide the convenient, knowledgeable and professional service everyone promises but rarely delivers. We expect our customers to hold us to the highest standard. We look forward to the opportunity to answer all of your questions and insure you are completely comfortable with our process and pricing before any work is performed. Most of our customers come from referrals so we are always mindful that a job well done is our best advertisement.